Windows can also be opened or closed, even with the shade in place, letting the fresh air in and keeping the insects out! 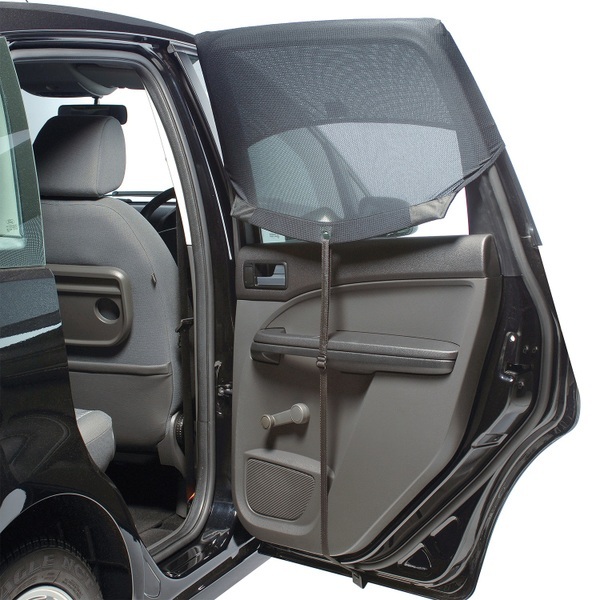 Slip the shade over the rear passenger door, attach clip under door, secure with adjustable slider. Car sun shade for all cars. Covers whole of the rear window to protect babies and children from the sun. The clever design fits like a sock, covering the entire rear side window. Windows can also be opened or closed, even with the shade in place, letting the fresh air in and keeping the insects out!